What Does an As-Built Surveying Company Know about Home Design? 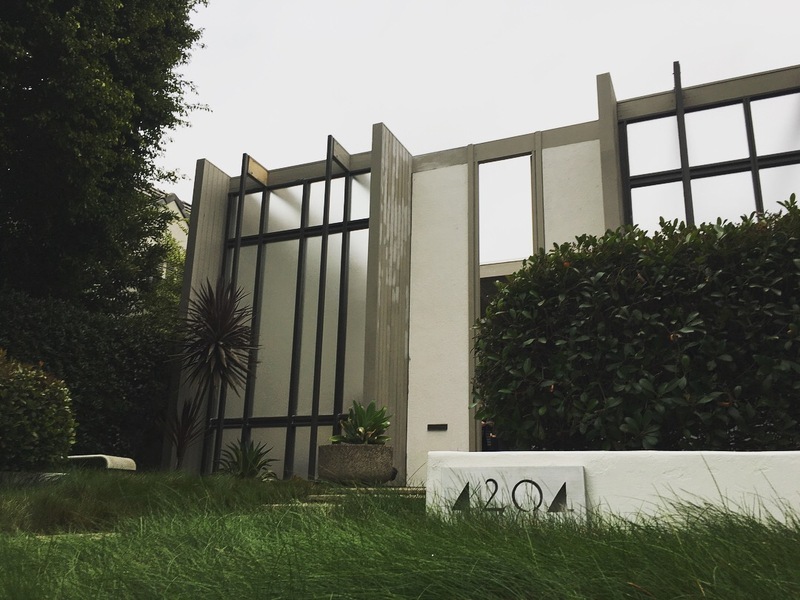 For most of Precision Property Measurement’s history, we’ve been working hard to help our clients design and build the home of their dreams. 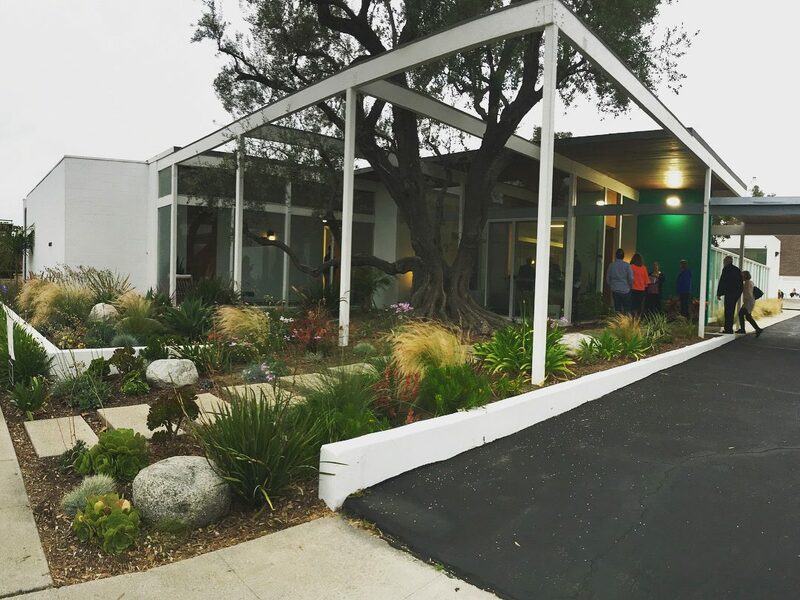 My team and I have worked with countless architects and homeowners to deliver them accurate and reliable As-Built surveying information they can rely on for their remodel. 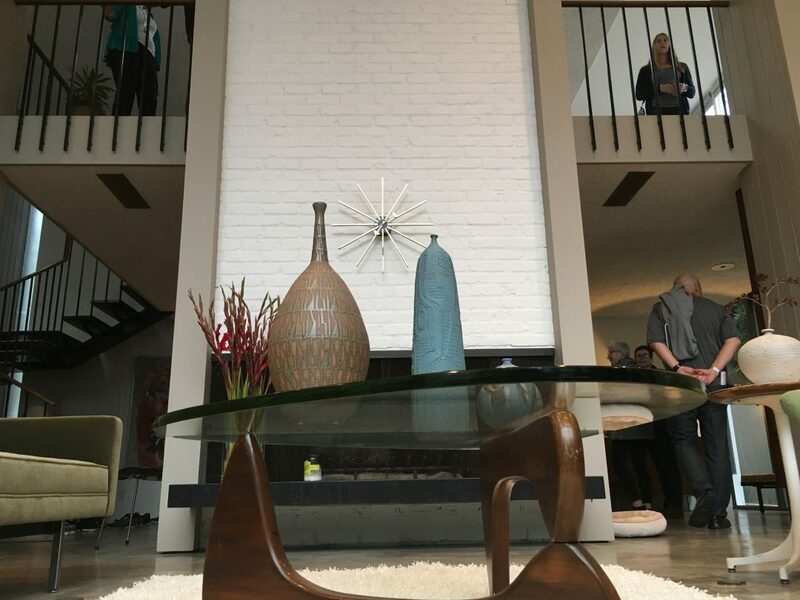 Because many of us at PPM got our start in architecture or design fields, we like to keep ourselves acquainted with the latest home design and remodeling trends. We want to be sure that whenever you hire us to be a part of your team, we’re up-to-date on how our expertise can best aid your project. 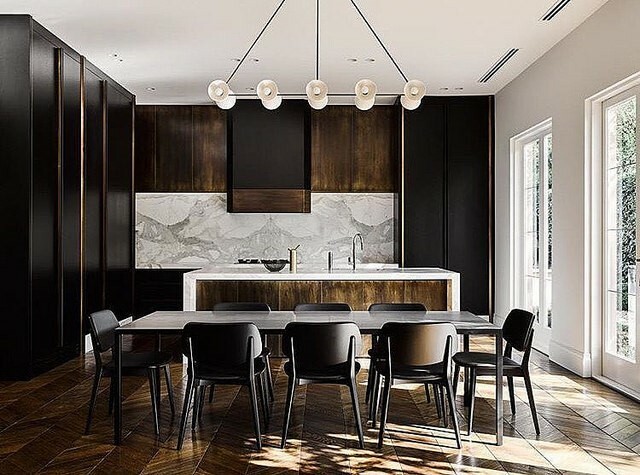 So, for this week’s blog post, we looked at the most current and intriguing home design styles we could find and compiled a list of 5 trends for 2019. Whether you’re looking to spruce up your home with a few high-impact updates, or are finally ready to tear it all out and start creating your forever home, take a look at these innovative design ideas that are sure to stay fashionable and inviting for decades to come. 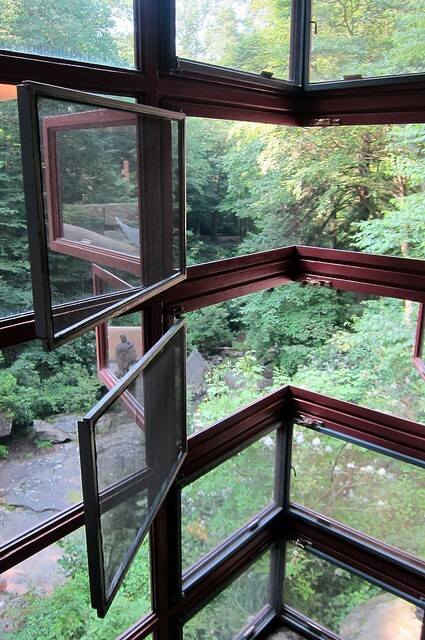 Probably the most iconic example of steel-framed windows is Frank Lloyd Wright’s masterpiece Fallingwater (pictured below) in Mill Run, PA, which was designed in 1935. And it’s no surprise that this style is coming back into vogue. 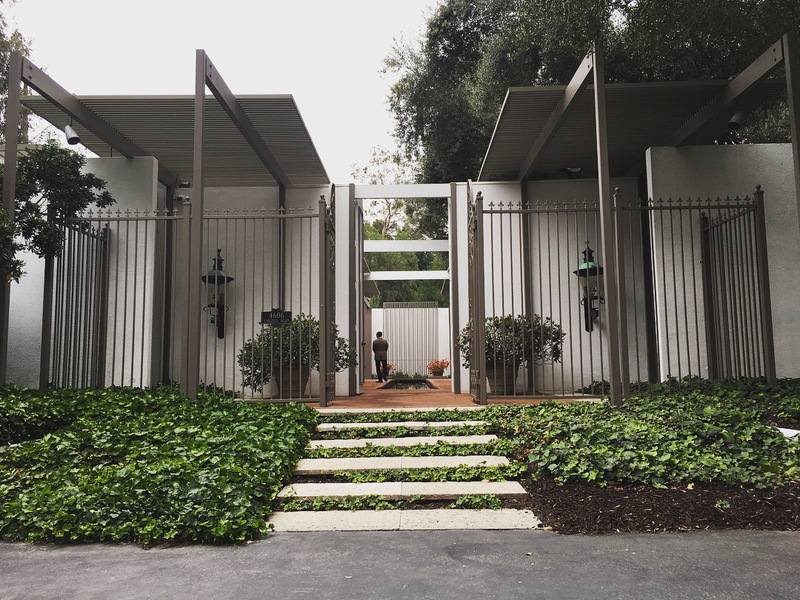 Wright’s concept of organic architecture seems perfectly tailored for the 21st century, a time when so many people are interested in a getting-back-to-nature approach to their home designs and lifestyles. Steel windows are slim-lined, incredibly sturdy, low maintenance, and they work with a number of styles. For instance, you could have outward-swinging, inward-swinging, casement, awning, and many other variations to fit your needs. If you have a drab, solid partition that is making your home seem closed off, consider a steel-framed wall with glass door to free up some space. Large panes with thin frameworks are a classic look that will brighten up any home. Also, your remodel doesn’t have to be nearly as hard as it was for Frank Lloyd Wright. 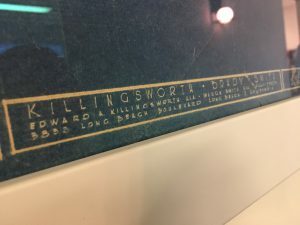 In 1934, when he decided to remodel the Kauffman’s summer house over a waterfall on Bear Run (what would later become Fallingwater), he had to hire a survey team who probably took about ten times as long as it would today to get him the pertinent As-Built information. In 2018, PPM can complete your survey in an hour or 2 and have your deliverable back to you in around a week. Not to say we’re better than Frank Lloyd Wright or his team. That, of course, would be blasphemous for architect lovers like us. He just didn’t have access to 3D laser scanners and CAD software like we do today. Don’t be afraid of adding some darker colors to your kitchen cabinet palette. You might be thinking that dark = drab or way-too-serious, but the truth is that darker cabinets can add a lot of depth and calmness to your kitchen. If light colors are meant to invigorate, darker colors are meant to provide you with a serene peace-of-mind that you just can’t get from bright blues or yellows. Black and gray are generally the go-to if you’re looking for traditional dark colors, and they do add a modern, sophisticated look to most kitchens, but consider dark greens, reds, or browns if you want something a little less conventional. Just remember, when using darker colors, make sure you have some accents that add some contrasting color to your kitchen. Monochromatic dark colors can be extremely disinviting and gothic-looking, so find a brighter color that will compliment your cabinets and use it sparingly. Trust us, there’s no more important room in your house to have the most precise As-Built measurements than your kitchen. If you’re looking for stylish, custom cabinets, you want to be absolutely sure they fit perfectly into your space. Our laser scanners measure down to 1/8” or even smaller, so you can be 100% confident in what you are working with. Convertible and multipurpose pieces are very trendy right now and it’s no wonder. Everyone is looking for ways to make their house feel more open and comfortable and many of us don’t have a ton of space to work with. Consider investing in a stylish Murphy bed, collapsible furniture that can be stowed away, or walls and partitions that can be reconfigured to dramatically change your house’s shape. This trend is all about practicality and ingenious design that’ll make your house into more than just a staid and rigid environment. With these functional accouterments, you can be active and engaged with your surroundings like never before. We’re a born and bred Southern California company, so we understand how important (and expensive!) every square inch of your house is. There’s a reason hundreds of architects choose PPM as their As-Built partner. No matter how much square-footage you have, we can get you the information you need to maximize your space. Check out the video below from faircompanies.com to get some ideas about convertible furniture! YouTube video with some amazing convertible furniture. 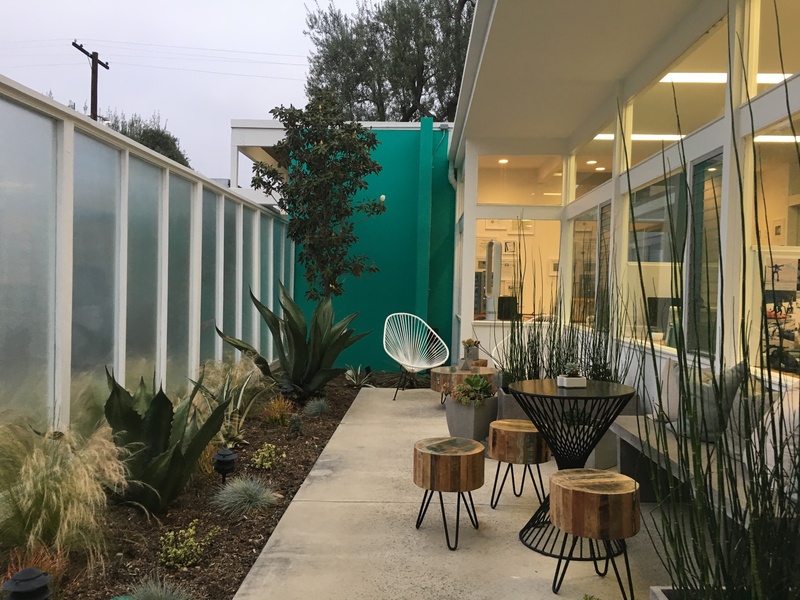 Maybe one of the more controversial design trends of 2019 is terrazzo floors and walls. Some experts say they’ve run their course, others say they’re just getting going. We think they still look pretty amazing, so we decided to include them on this list. 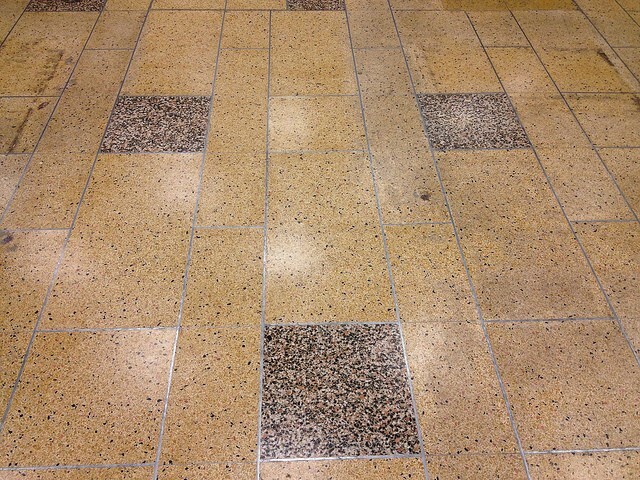 Terrazzo is a pattern, popular in the 1950s, that is created by pressing stone chips into concrete. This gives the floor or wall a lively, textured look that can be created in any number of colors. These days, terrazzo is everywhere. You can buy terrazzo handbags, dishes, pillows, rugs. The design has become so popular that it’s transcended its original use. Regardless, its popularity has always relied on the fact that terrazzo can either compliment an organic, natural look, which would be perfect for both the steel-framed windows and darker cabinets we mentioned before, or you can seek out brighter colors that have a more playful vibe perfect for a kid’s room or a light-filled bathroom. If you’re looking to remodel your walls or floors, our precision As-Built surveys will help you and your architect figure out exactly how your design ideas will best fit your layout. If you have a large or non-traditional floor plan, don’t worry. We can complete your As-Built plans without you ever having to lift a finger. 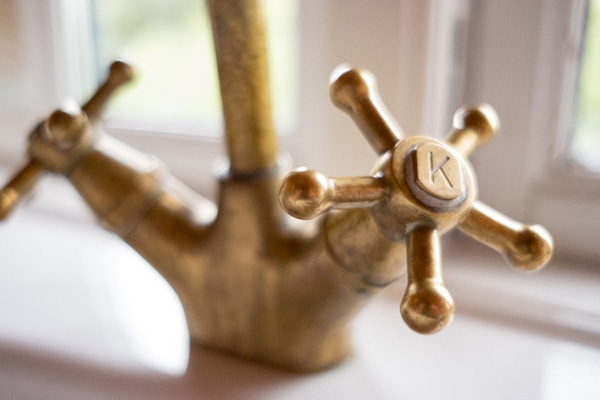 Back in the day, around the mid-90s, to be precise, brass was a popular material for faucets, knobs, frames, etc. And it’s come back into style over the last couple of years, but not in exactly the same way. 90’s brass was much shinier than the variety used today. Just like the steel windows and more organic-looking terrazzo floors, the brass that’s all the rage these days is warmer and antique-looking. It’s not made to stand-out, but to have an old-world charm that compliments pretty much any décor. Also, if you’re thinking of going with darker cabinets, just imagine what a great contrast brass would make against a black or dark green color palette. 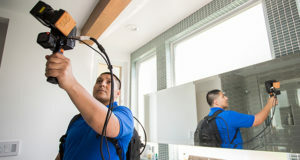 Remember, our As-Built surveys include the locations of all your plumbing fixtures so your architect or interior designer can get an incredibly accurate idea of what they’ll need for your remodel. 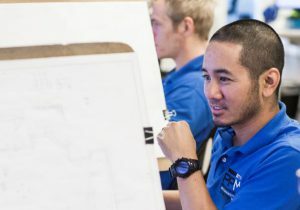 Our technology along with our meticulously detailed drafting will save you tons of time and headaches! Best of Luck on Your Project – We’d Love to Help! As we get closer to another New Year, PPM is super excited to work with you on any home remodeling projects that you are ready to start. And remember, our #1 priority is working with your architect or designer to fulfill their and your vision as best we can. This means that we’re consistently keeping our ears to the ground to discover the newest and most unique design trends in the business. It’s this commitment to our customers’ satisfaction that inspires us to be the best As-Built surveying company we can be. 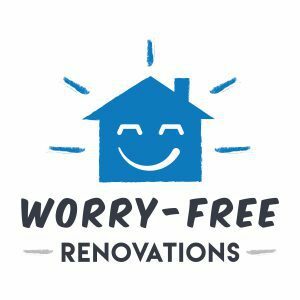 Our purpose is to help you achieve a “Worry Free Renovation”. So, thanks for keeping us on our toes and thank you, as always, for reading! At Precision Property Measurements, we get it. You’re busy, you’re under a deadline, you need the most accurate As-Built survey possible, and you want it to be completely Worry Free. Believe us. We’ve been in the business for over 16 years now and we understand what you need from us, whether you’re starting a home remodel, moving your business to a new location, or renovating the guest rooms at a large hotel. It’s this understanding of our customers’ needs that has been one of the primary catalysts for the adoption of 3D laser scanning into our As-Built surveying process. As mentioned in my post last week, for the first 14 years of PPM, we did everything manually with tape measures, laser distance meters, sketching boards, and good old-fashioned problem solving. But within the last couple of years, as this technology has developed, we decided that laser scanning is the best way to enhance your As-Built surveying customer experience. In our last post, we discussed how laser scanning has changed the financials of our company, so this week we decided to discuss how these impressive little gadgets are helping us help you. 1. Do You Really Want Us in Your House All Day? 3D laser scanners have dramatically reduced the amount of time that our surveyors need at the job site to capture all the necessary As-Built information. Take the example of a typical 2,500 square foot single family home – the type of project we survey just about every day at PPM. It used to take one of our surveyors around 5-7 hours to gather all the measurements and information we needed for this type of project. That’s an entire day of us at you or your client’s place, measuring every inch of the building. If you’ve ever had workers inside your house for an entire day, you know that this can be somewhat obtrusive and often requires you to plan your entire day around the worker’s schedule. Now, with 3D laser scanning, we’ve cut our time in the field dramatically. A project that used to take us about 7 hours in the field only a couple of years ago, today takes maybe 1 to 2 hours using a laser scanner. This means that we can get in, get what we need, and get out before you or your client even figures out what they are having for lunch. You can get on with your busy schedule, or just relax in your house without a stranger hanging out all day. Although, I do think we make pretty decent house guests. On location with one of our 3D scanning specialists. Our laser scanners work well in both small and large spaces. Another big advantage of using a 3D laser scanner for As-Built surveying is the amount of information that is gathered. Before laser scanners, we had to pick and choose the measurements we would take and the information we could capture based on the scope of work requested by our client. If our client wanted an As-Built floor plan and reflected ceiling plan (RCP), we would only gather enough data to complete these 2 plan types. Now with the laser scanner we can digitally capture everything visible in your house or building with incredible precision. This means we know where every wall, window, door, ceiling beam, light fixture, cabinet, and piece of furniture is located in the building. This information gathered from your property by the 3D laser scanner contains millions of data points that we use to create your finished As-Built deliverables. The big advantage for our customers in capturing all this data is the flexibility that it provides if more information is needed. For example, what if our customer decided after the field visit that in addition to the floor plan and RCP, they need some interior elevations and a section drawing? 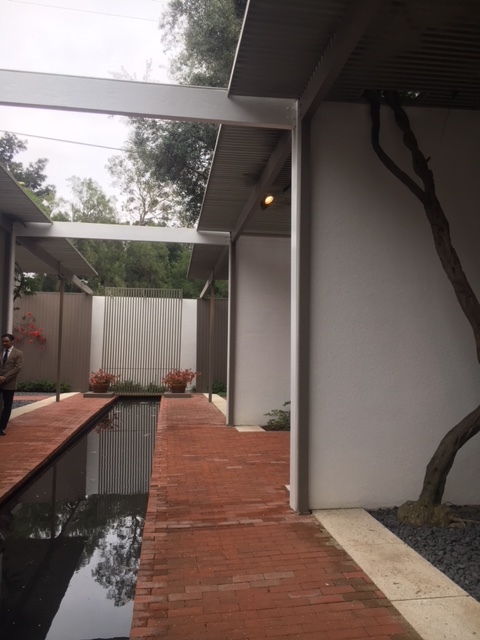 Previously we would have had to return to the building to take additional measurements – requiring additional time to schedule a second field visit, and an additional inconvenience to the property owner. With laser scanners, we already have all of the data we need to create these additional As-Built plans, so we are able to accommodate these change order requests quickly and keep the project moving. Our 3D Laser Scanning team can produce As-Built surveys of a variety of different building types. It’s hard to overstate how much more precise our AutoCAD and Revit deliverables are now that we use 3D laser scanners. We have always been extremely accurate, recording individual measurements to the fraction of an inch and employing multiple redundancies and other As-Built best practices to ensure a quality product. But, to be honest with you, there’s just no equating what can be done with tape measures and simple electronic measuring tools compared to what we can do with 3D laser scanners. No matter how many measurements we took back in the good old days, we simply couldn’t have collected as much information about your building as a laser scanner can. For a simple building with basic geometry it might not make too much of a difference. 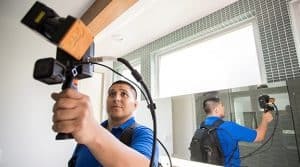 But for larger structures and more complex architecture such as curved walls, vaulted or arched ceilings, and non-standard angles, laser scanners provide a whole new level of precision and detail. This increase in total accuracy becomes even more critical when we are creating a comprehensive 3D BIM model from the data captured in the field. This benefit to our customer is yet another reason why we’ve decided to adopt this technology with so much passion. At PPM, we take great pride in making sure that our customers are comfortable and satisfied with all phases of our service. With the faster location time afforded by 3D Laser scans, our customers are even happier. If I haven’t made it abundantly clear already, 3D laser scanning allows us more flexibility to tailor our deliverable to your needs. 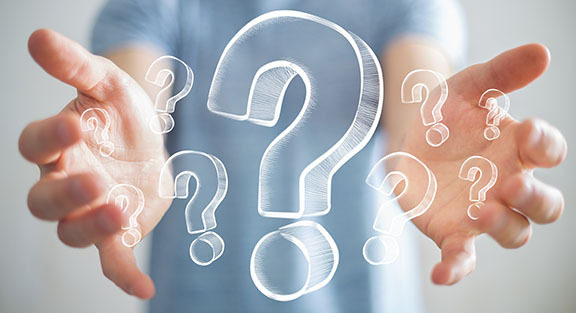 Because we have so much data gathered for your As-Built survey and because this information is accurate, complete, digital, and portable – we have a wide variety of options for our clients when it comes to the As-Built information we provide. 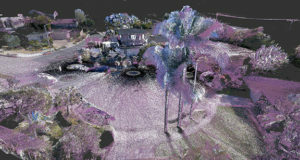 The 3D “point clouds” generated by a laser scanner can be worked with either in 2D or 3D. Our 2D AutoCAD drawings and 3D Revit models can be created exactly to your specifications and are always designed with your project’s best interest in mind. This means that our customer service and project management outreach is more important than ever. We have a dedicated staff whose primary purpose is to find out exactly what you require, and then create a deliverable that will make your job infinitely easier. Another new option is to deliver the raw data (the point cloud) directly. For those that know how to work with it, the point cloud is an extremely detailed “digital twin” of the building, and can be delivered as soon as the day after the field work. 3D Laser Scanners – Good for Us and Great for You! So, as you can see, 3D laser scanning had really improved the As-Built customer experience in many different ways here at PPM. 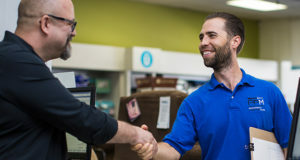 We are beyond excited to see how this technology will continue to revolutionize our business and provide you with the best As-Built service possible. 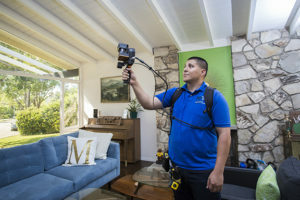 Now that you know how 3D laser scanning can improve your customer experience for your remodel projects, I hope you’re as excited about these new developments as we are. 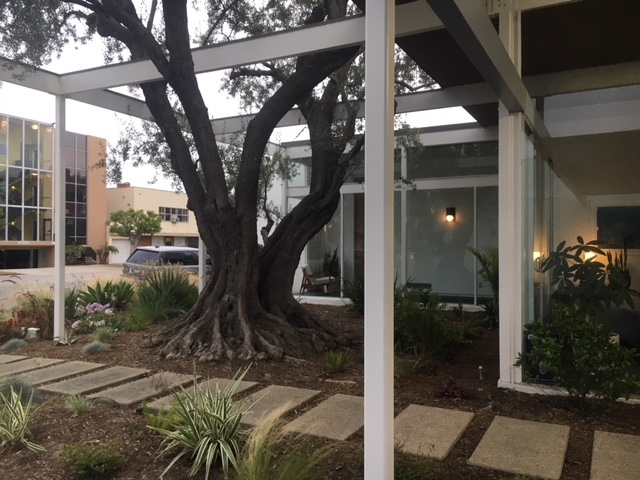 For the first 14 years of Precision Property Measurements, it was just a few trusty surveyors and me waking up at 5 AM, Monday through Friday, hopping on the freeway to beat the LA morning traffic, and breaking out our handy measuring tapes, pencils, and paper to collect our clients’ As-Built property measurements. Our “high-tech” equipment was a laser distance meter, but even that high-precision tool can only take 1 measurement at a time. In some ways, I remember those days fondly. It was much more of a physically demanding process back then, and there was something gratifying about coming home each day having put in a number of hours dangling from ladders or scraping through crawl spaces. If I had the choice, would I go back to those early days? Probably not, but there’s nothing wrong with reminiscing. 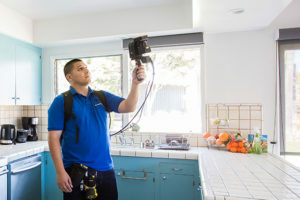 Though we do hand measure our clients’ properties from time to time depending on size and scope, over the last 2 years 3D laser scanners have revolutionized the way we do business, both in the field, in the office, and financially. With that being said, over a series of posts, I’d like to explain how different PPM is today now that we have made a big push into this amazing, revolutionary technology. This first post will be about how 3D laser scanners have transformed the financial dynamics of what we do best: delivering accurate, high-quality As-Built surveys to our clients. 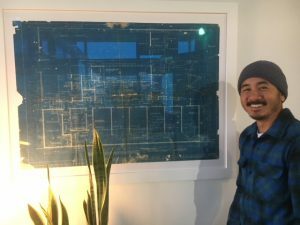 So, if you’d like a behind-the-scenes peak into how one of the top As-Built surveying companies in the country is changing due to this innovation, then please read on. 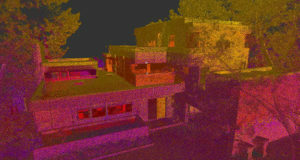 A 3D laser scan can present unique perspectives for architects. First Things First—What the Heck is 3D Laser Scanning? MacBooks are to parchment and quill as 3D laser scanners are to tape measures. What I mean is they’re almost not even in the same universe. To keep it simple, 3D laser scanners shoot… well, lasers in all directions, and whatever the lasers hit gets recorded as a 3-dimensional point for us to decipher later. The laser scanners we use shoot tens of thousands of points per second! So even a small building will generate many millions of data points in very little time. The resulting file containing all of these 3D points is called a Point Cloud file. The next step for us then is to take that point cloud, and through a series of different processes and software applications, create a usable deliverable for our client: Typically, a 2D AutoCAD drawing or a 3D Revit model. 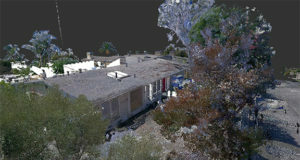 These days, working with point clouds is what we spend quite a bit of our time doing here at PPM. Whereas a couple of years ago, we were creating accurate As-Built plans based on our hand-draw sketches containing individual measurements, now we are working with this incredibly accurate digital point cloud data. The challenge for us is that the point cloud contains everything that the lasers hit – wall decorations, furniture, coffee cups, pets… just look around you right now and you’ll get an idea for everything that can be contained in a point cloud. Our job is to focus on providing only what’s important for our client. As you can imagine, this dramatic change in our process has been quite an adjustment in how we deal with dollars and cents here at PPM, so, next, I’d like to tell you about the 2 major ways that 3D laser scanning has changed the financials of our company. 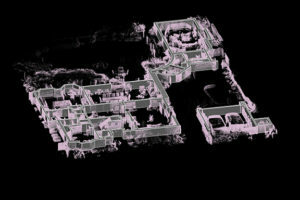 3D As-Built scans can provide extremely useful views that previously were difficult to obtain. When I started with PPM back in 2002, it cost about $5,000 to outfit my workers or myself with all of the tools we needed to start on a client’s project. This provided us with the field equipment, which was pretty minimal back then, plus the computer and software we needed in the office to create the finished CAD product. Now, since the 3D laser scanner came around, we’ve seen quite an uptick in how much overhead we need for our field and office operations. First, the 3D laser scanners—there are many different units on the market so the price will vary, but the 3D laser scanners that we use cost about $50,000 a piece. That’s right, this single tool is 10x more expensive than our entire kit cost only a couple of years ago. Second, we need a much more sophisticated and high-powered computer and networking system than what we used back in the good old days, in order to handle all that point cloud data. So, over the past couple of years, we’ve replaced all of our production computers with high-end models, bought new servers and networking equipment, dramatically increased our local and cloud data storage capacity, and we are about to significant upgrade our internet speeds so that we can quickly transfer data to and from our regional offices, field survey crews, and clients. You might be wondering how we can afford to make these investments without any increases in the rates we charge our clients. Good question. Well, there are more than a few cost advantages of using 3D laser scanners for As-Built surveying, as you’ll see in the next section of this post. Architects are enthusiastic about the exterior configurations of homes that are scanned and surveyed with the highest accuracy by 3D laser scanners. Less Time on Site = Less Time in LA Traffic! With the adoption and integration of 3D laser scanning into our processes, our productivity has increased dramatically. First off, we save a ton of time in the field. A couple of years ago, to survey a typical Single-Family house, we would have needed 5-7 hours at the site – a full day’s worth of work including travel. Our day in the field used to consist of sketching, measuring, maybe using a laptop to draw on site, and although we were great at it, the process was pretty tedious. Also, because we’re located here in Southern California, we would start at the crack of dawn so we could be done by early afternoon and not have to suffer through endless gridlock. Now, using a 3D laser scanner, that same house would take maybe 1 to 2 hours in the field – making our time in the field about a quarter of what it used to be. For larger projects which used to take multiple days, this reduction in field time can also save a lot money in travel, as we now only need one trip to the project instead of 2 or 3. It also makes out-of-state projects more financially feasible, since we can save money on hotels, rental cars, and per diem due to our much quicker surveying process. The other part of the As-Built process, the office work, has not yet seen any significant gains in efficiency, but things are trending in that direction. Currently, it still takes us about the same amount of time as it used to, to take the field data and draft it into AutoCAD or Revit. But we think that over time, as we get better and better at working with point clouds, and new software comes along that help automate different parts of the process, we will see similar gains in our productivity on the backend. Because of this shift in the process, PPM is working to revamp our labor force. 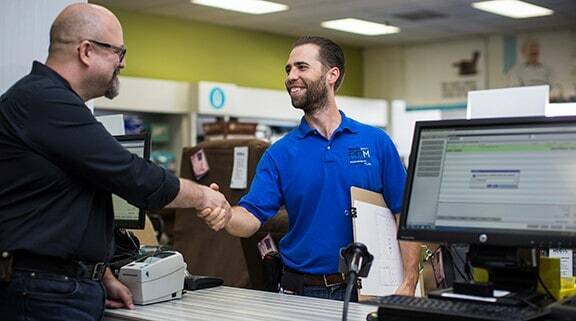 Everyone is learning new skills, and our hiring plan has changed dramatically. Whereas previously the general ratio was one office worker for each field surveyor, now the field work is so efficient that we need 4 to 5 drafters for every surveyor. Just another change like so many others that is brought about by the transformation of our business with 3D laser scanners. The beauty of the point cloud scan rendering is in the details, as well as the colors. Why Do We Love 3D Laser Scanners So Much? The answer is simple: We want to deliver the best and most accurate products as we can to our clients, and 3D laser scanners are the perfect way to accomplish this for the foreseeable future. Though overhead costs have increased, and we have to remake our labor force, there have been just as many positive aspects of switching to 3D laser scanning. For instance, in order to accommodate all of the additional drafters we need to work with point clouds, we’re opening a new office in Salt Lake City, which we are calling our “CAD Command Center”. This move has upped our profile on a national level and will set us up to achieve our Mission of opening at least 8 new Regional Offices by 2025. It will also increase my opportunities to go skiing once winter rolls around. But beyond all of the financial ups and downs that this new technology has caused us, it’s our commitment to our craft and our clients that informed our decision to adopt such a business-exploding piece of equipment. At PPM, we’re looking forward to the future and all of the technological developments that will bring our business into the forefront of the 21st century. To us, there’s no improvement without innovation, and we’re glad that we’re placed firmly on the cutting edge of what is sure to be a revolution in the As-Built survey business. Over the last 18 months, 3D laser scanning has radically changed the way we capture As-Built survey data at PPM. A process that used to take several days in the field using a handheld laser measuring device can now be completed in a matter of hours with a mobile laser scanner – and with far more data to show for it. The equipment and software are changing so fast, it has been a fun challenge catch up and keep up. 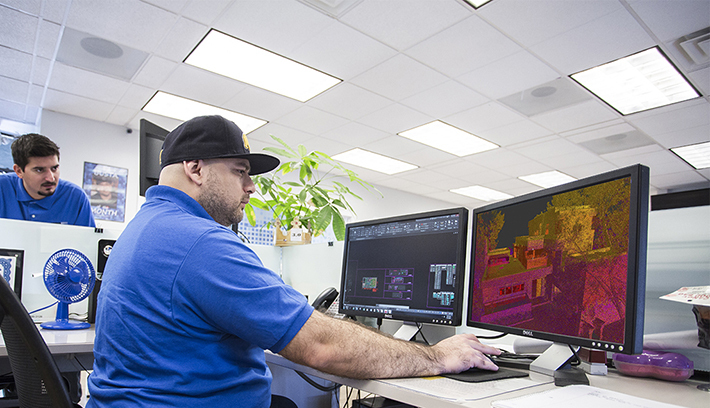 We’ve dedicated a lot of time and effort to take advantage of the advancements in 3D laser scanners and AEC documentation, to the point we have even created a full-time Director of Survey Technology position at PPM to help us stay on the leading edge of this ever-evolving technology. We are always on the hunt for new opportunities to learn about new developments in laser scanning, BIM, and CAD construction documentation. One of the events that we look forward to is the annual SPAR3D expo & conference. This event draws the leading companies and innovators across a broad range of 3D technology industries including laser scanning, BIM software, gaming, visualization, and more. In June, the SPAR3D conference came to Anaheim, and PPM was there. Greg (Director of Survey Technology), Colin (Field Service Director), and Mike (BIM Manager) joined Andy for the three-day event. We attended workshops, demoed new technology, and met with the leading companies in the 3D industry. Along the way, we identified a few prominent trends that stuck with us. PPM As-Built Surveyor using the Zeb-Revo for mobile 3D data capture. If you have an interest in 3D laser scanning, there was no shortage of toys to play with at the SPAR3D conference. All the key players in the industry had a presence in the exposition hall, including Faro, Leica, Trimble, GeoSLAM, and more. One of the more interesting new scanners we saw was another mobile laser scanner from Paracosm that boasts full color in their point cloud data but took five times longer to process than other mobile solutions. After spending 3 days getting a first-hand look at all the new and existing equipment out there, it was clear to us that GeoSLAM’s Zeb-Revo is still the best tool for residential and commercial As-Built survey data capture. The Zeb-Revo is four times faster than traditional terrestrial laser scanner, provides extremely accurate 3D data, and comes at a relatively low price point – under $50K. It seems that PPM isn’t the only customer that has realized this, as GeoSLAM as a company has grown from 7 to 70 employees in just the last 18 months. As much as 3D laser scanners have changed the way that PPM captures data in the field, there is still a very manual and time-consuming process that takes place after each scan. Our clients don’t want point cloud files – they want AutoCAD drawings or Revit models. One of our primary goals at the SPAR conference was to learn about any new software, “tech stacks,” that help to automate any step in the process of turning point clouds into architectural As-Builts. We saw demos from at least half a dozen middleware vendors including PointCab, PointSense by Faro, Pointfuse, 3DReshaper, and more. While there is still no, “magic bullet,” that will turn our point clouds into Revit models at the click of a button, we are beginning to look into some promising developments happening with point cloud rendering, surface recognition, and object meshes that can potentially save hours of time on each project. 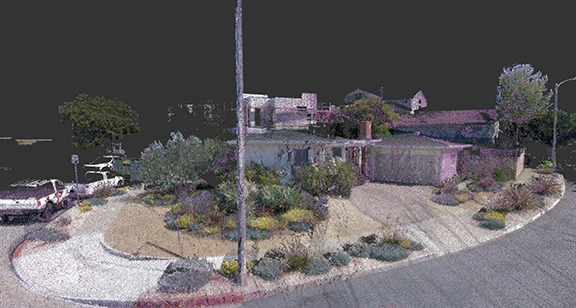 Point Clouds are Awesome – But What Do I Do With All This Data? As we made the transition to 3D laser scanning at PPM, one challenge that we didn’t properly appreciate in the beginning was the radical change in data storage needs. 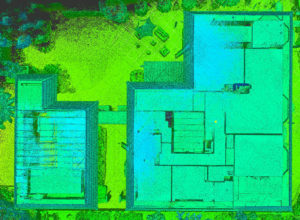 Prior to laser scans, a typical PPM As-Built project contained a total of about 200–500 MB of data, and most of that was the photos that we take on every job. With all of the data that we get from our scanners, project sizes can get up to as high as 50 GB while they’re in production. Even after using more compressed file formats and other archiving techniques, with 3 laser scanners practically running around the clock, we are adding approximately 500 GB a month to our server. Clearly we aren’t the only ones experiencing this challenge, as there were several data storage services with a presence at the SPAR conference. The trend in the industry is to move this data to the cloud, which allows for more flexibility, scalability, and collaboration across teams in different physical locations. At PPM, we have just started implementing a cloud storage and collaboration tool called Egnyte, which will allow for scalable data storage that can be accessed from all of our locations (currently Long Beach, Oakland, and Salt Lake City). In summary, the SPAR 3D Conference this year was jam-packed with new high-tech gear, software, processes, and a dizzying array of ideas to explore. Even with 4 people attending the event, we couldn’t cover everything in 3 days. But it definitely sparked a number of new initiatives that we plan to pursue in the months ahead… that is until SPAR 2019 comes around and we start all over again! As the calendar turns to July throughout the United States, home renovation and remodel projects are in full swing. Whether it’s the cranes that are taking over the downtown skylines, or the fenced-off construction projects you see driving through your neighborhood, the signs are everywhere. We take it for granted here in Southern California that in many parts of the country, there is a short season for getting renovation projects done – and we are right in the middle of it. 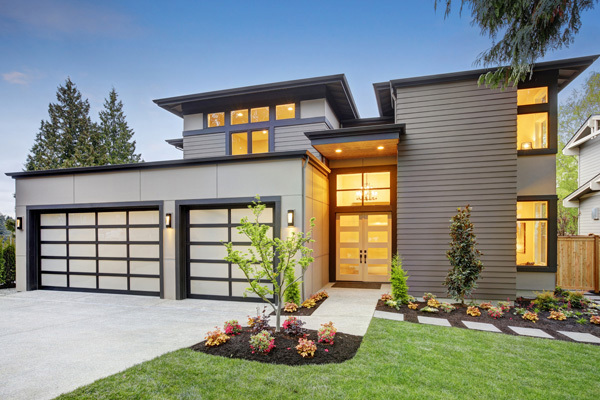 The warm and dry summer periods are usually the friendliest time of the year for homeowners to plan and carry out home remodels, starting with an As-Built Survey. The data confirms it: Surveys have shown that over half of homeowners in the U.S. believe that summertime is the perfect time to renovate or improve their homes. The nationwide data corresponds with what we have seen here in Southern California and the Bay Area at PPM. We work with hundreds of local architects, and since As-Built Surveys are the first step in a home renovation, we get a good pulse on what is happening out there in terms of new projects. As usual in 2018, our volume for new As-Built Survey requests in May and June increased by 20-30% compared to what we saw from February through April. Another trend we start to notice around this time is that our clients are in a rush to get started (even more than usual). It’s not uncommon for them to ask if we can get a surveyor out to their project within the next day or two after they call us. While we are always striving to be as quick as we can with our As-Built projects, unfortunately we usually aren’t able to get started that fast! I remember when I was a kid I associated summer with fun, relaxation, and taking a break from school. Now, with the higher volume and quicker deadlines, summer is the busiest season at PPM – but that’s OK with me! It’s not just the summer season that is contributing to the high volume of construction projects right now – it’s also the strong real estate market (especially here in California), and a surging economy in general. So with all this demand out there for quality, professional architecture and construction services, the effect is that costs are going up, and it’s getting harder and harder to even find a professional that is available on short notice. To avoid getting caught in an expensive headache with your home remodel, here are some timely tips to planning your project. 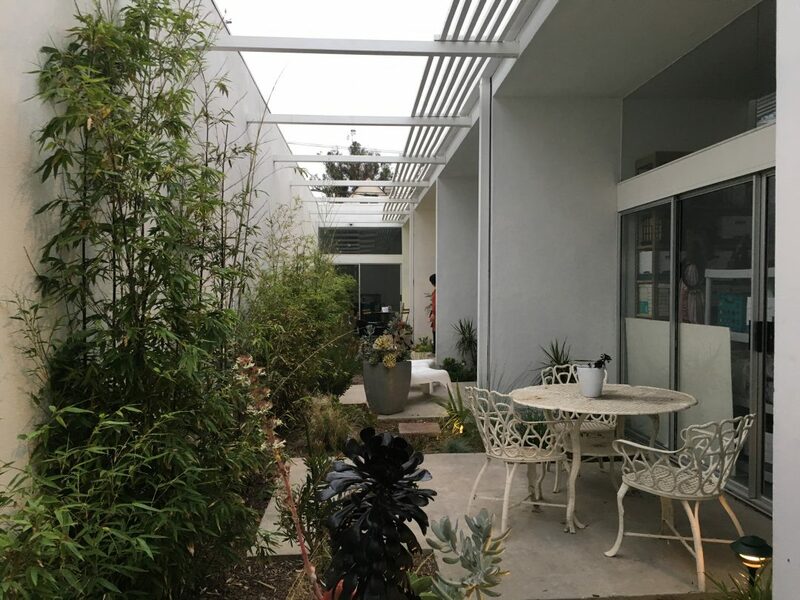 Be Mentally Prepared: Remodels are projects that task both the mental and physical faculties of those involved in them, regardless of the scope of the intended project as well as the individual or company involved. In the case of individual homeowners, tasks such as budget allocation, hiring the right architectural firm and handling some DIY projects can lead to major stress and even strained relationships. So the first priority is to prepare yourself both physically and financially for the long process of expansion or remodeling. 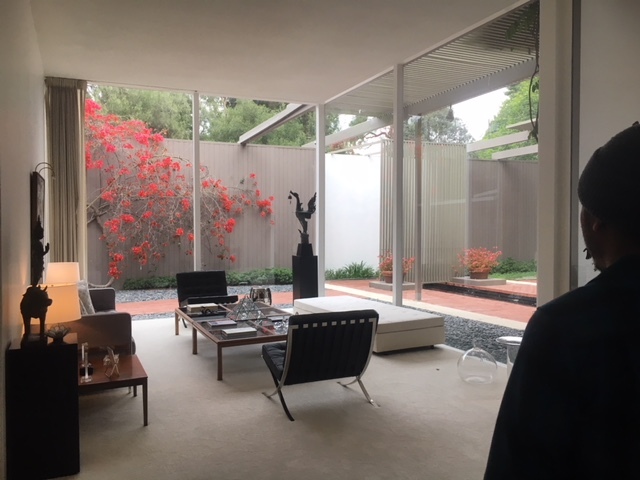 Get Clear on What You Want: A good architect can certainly help you with creative ideas for your home renovations – that is exactly what you are paying them for. But you should have a pretty clear idea of what you want before you get serious about starting your project. Nothing will slow down a home remodel like indecision from the homeowners. 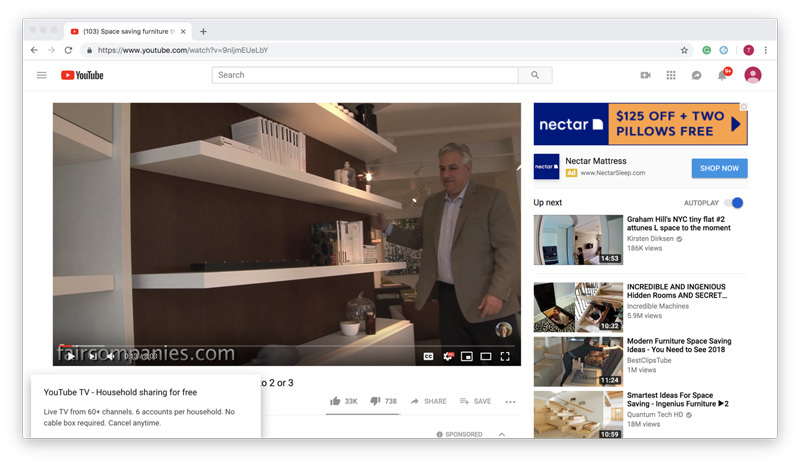 The onus falls on you to do your research using home improvement journals, architectural magazines, home design websites like houzz.com, and more to get clear about exactly what it is you want to do with your home. Set a Realistic Budget. 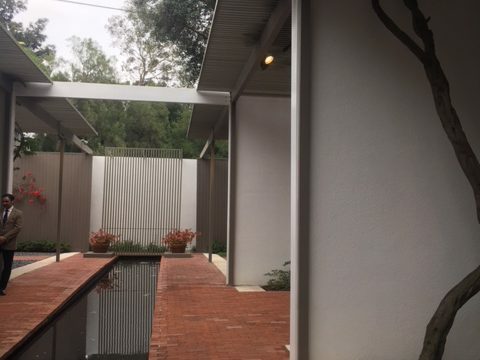 I talk to architects all the time, and they tell me that one of the biggest frustrations they have is when a homeowner contacts them with a completely unrealistic idea of what they can get for their money (like for example – add a 1,500 SF 2nd story to the house for $200,000). 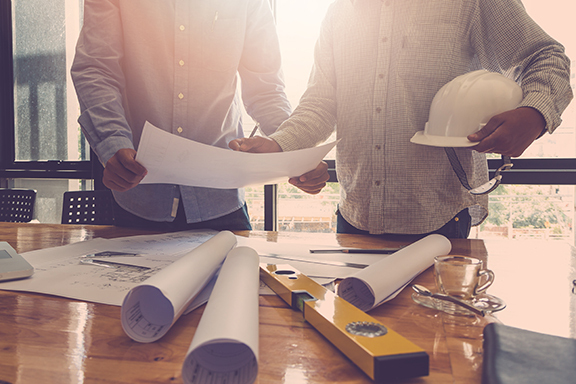 Your architect should know enough about construction costs to help guide down the right path, but they will need to know what your overall budget is for the project. Construction costs have risen in the last few years, so your budget might not go as far as you think. 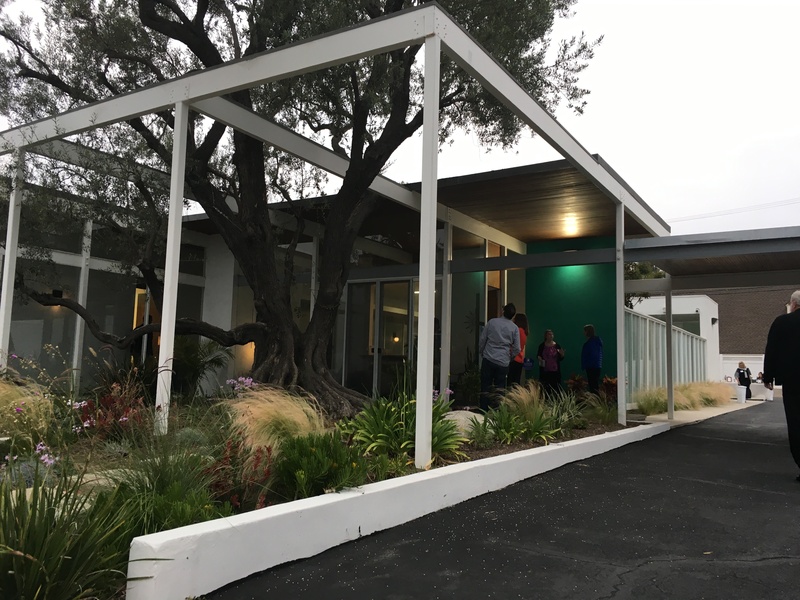 As a guideline, recently I have heard some numbers from contractors here in Southern California in the range of $250-350 per SF for home additions. 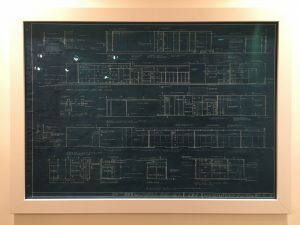 Educate Yourself on the Process: In particular, there are 2 things that will be essential for your home remodel that your architect can help you with, but can be beneficial to do on your own if you want to be more involved with the process. First is learning about the permits that will be required from your city or county building department. Based on your project, they should be able to tell you right over the phone what the cost and process/timing should be for permitting. Second is obtaining accurate As-Built plans of your existing home. As-Built plans are obtained by taking real measurements of the existing structure, and then re-creating the plans (floor plans, exterior elevations, electrical components, etc…) either on paper or preferably in a digital format that is “architect-friendly” such as AutoCAD or Revit. 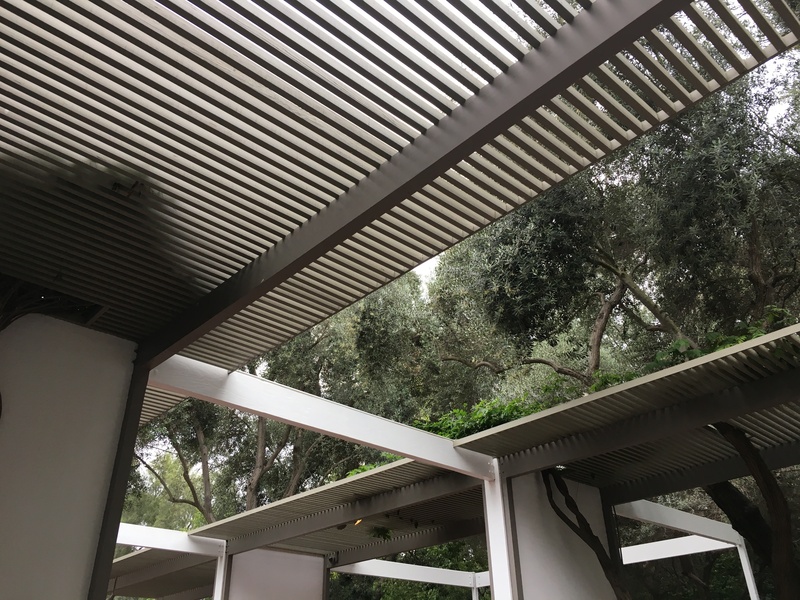 All of the design and construction plans will be based on the As-Built plans, so it is critical that they be accurate (preferably within fractions of an inch) and include all the details needed for your particular project. The As-Builts can also be used by YOU, the homeowner, to help plan and draw your own remodel ideas before you start spending money on a professional. For most people, their home is the biggest single financial investment they will make in their lifetime. Taking on a home renovation project can be stressful, but when it’s complete you get to enjoy the results for as long as you stay in the home – maybe even the rest of your life. Even if you move, the value that you have added to the home will likely pay off in the form of a higher sale price. At PPM, we take tremendous pride in the part that we get to play helping homeowners create their dream homes. It’s why our purpose is to help enable “Worry Free-Renovations”. Please Contact Us if you’d like to get a conversation started about your home remodel project and the essential first step – an As-Built Survey by Precision Property Measurements. The concept of Worry-Free Renovations has been a part of PPM’s soul since our founding in 2002, and in fact is the reason why PPM even became an idea and then a company in the first place. 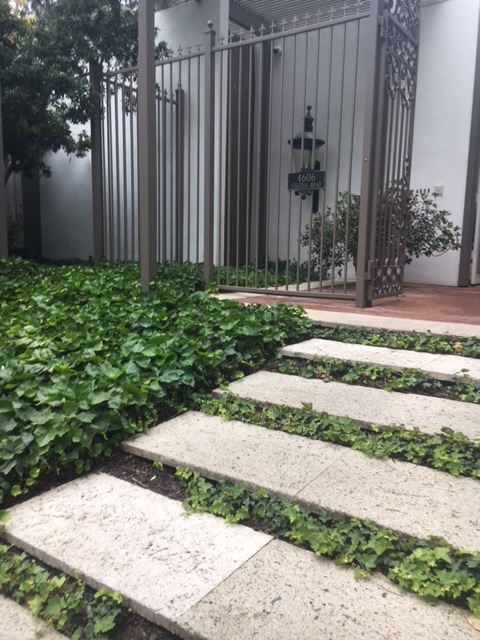 This ideal – to have a smooth and trouble-free renovation (remodel, addition, tenant improvement, landscape project, etc.) is something desired by all parties involved in the process. But it remains frustratingly difficult to achieve, as most people who have been through a remodel will attest. Renovation projects by their nature are big, complicated, and messy. Everyone understands this when they decide to undertake one. But what makes a renovation project so frustrating and worrisome is when something doesn’t go as planned. If you’re told a project will take 6 months but it ends up taking 9. Or if a problem is encountered during construction that causes the cost to increase by 20%. That is when the stress and the worry really starts to ramp up. And that is where PPM comes in. 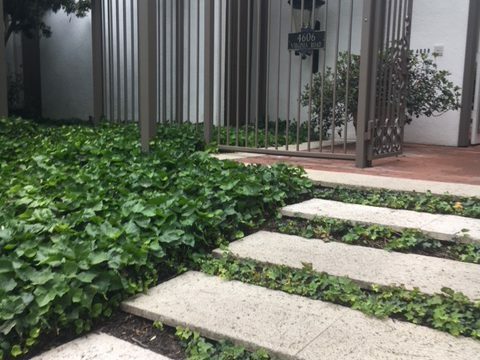 PPM started providing As-Built surveys for a few landscape architects in Southern California for exactly this reason. It was (and still is) a common problem for these professionals to have difficulty obtaining accurate, complete, and reliable site plans that fit the project budget. With a lack of attractive options, they resorted to inadequate “solutions” – such as using incomplete or inaccurate plans, or trying to get by with no As-Built plans at all. The result? Bad or incomplete information that caused delays, cost overruns, plan changes, and other negative consequences. Hardly a Worry-Free experience. PPM’s purpose was to eliminate those problems by giving these customers a much better option with our professional As-Built drawings, thereby allowing them to start off their projects with everything they needed to execute confidently on their design ideas. PPM is using the latest in As-Built survey technologies for your renovation project, such as the Laser Scanner that produces detailed 3D plans. Fast forward 16+ years and that is still exactly what PPM is doing, and the reason why we still exist. The clients and projects have evolved, but the driving purpose of helping to enable Worry-Free Renovations remains the same. As As-Built Surveyors, we sit at the very beginning of the renovation process, so our service can be thought of as the first link in a chain that will extend for many months/years, and will involve many other consultants. We can’t control what happens to the rest of the “chain” after our portion of the project is complete – but we CAN say that we are giving the project the BEST chance for success, the BEST chance to be “Worry-Free”, if we deliver great As-Builts with outstanding service. This is our goal for every project, and the Purpose that will continue to sustain for the next 16 years and beyond. Are you interested in a Worry-Free As-Built Experience on your next project? Fill out our QUOTE form for a fast, free estimate and consultation with a PPM project representative. See how working with PPM can save you and your clients time and money on their renovation project.